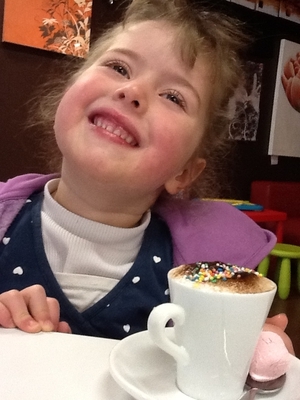 Endue Cafe is a hidden treasure at The Junction Shopping Centre in Valley View. This delightful cafe combines a typical cafe with an extensive range of gorgeous homewares, gifts and toys. The red, black and white decor provides a good contrast to the rainbow of colours on show from the abundant giftware. The walls are alive with colour from canvas prints, paintings and metal wall embellishments. The cafe has seating for about 70 and it is well laid out with sufficient room to move between the tables. It offers a selection of light meals including; pizzas, foccacias, wraps and salads. During a cold Adelaide winter, their soups are just the thing to warm you up. The cafe is quite popular with the take away coffee crowd and does get busy, while their service is generally quick, you may need to browse a bit if you stop by at morning or afternoon tea time. I thoroughly recommend having a Devonshire Tea, the scones are light and fluffy and the jam and cream are simply divine. However, there is a smorgasbord of taste sensations to be found in the cake display. If you are looking for a present for a friend or relative. If you are looking for some lovely jewellery for a girlfriend. If your kids are looking for a gift for grandpa or dad. If your child has a birthday party present to buy. If you want to buy a stylish homeware item for a wedding or engagement. If the walls of your home need a bit of sprucing up. 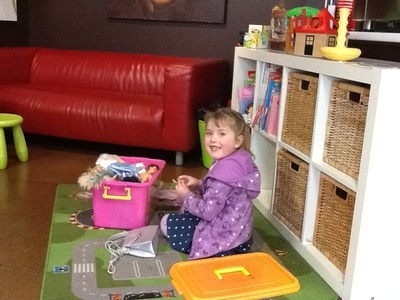 This cafe has an excellent kids area complete with couches, books and toys for both girls and boys, including an abundance of Barbies and clothes and a car mat with a basket of cars. This area must have been designed by a parent too as it is off in a section away from the breakable gift items. If your children are anything like mine, they won't want to leave.